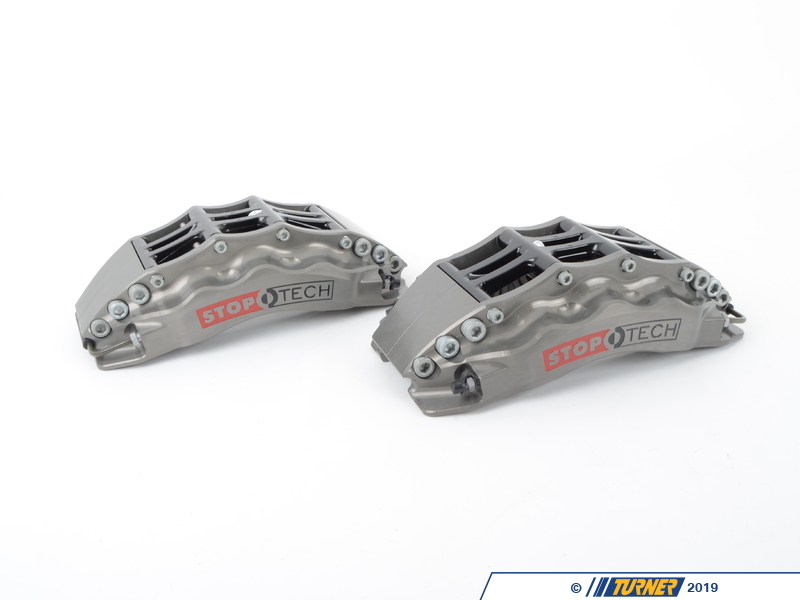 StopTech Brakes puts championship-winning race technology and state-of-the-art engineering under your feet. 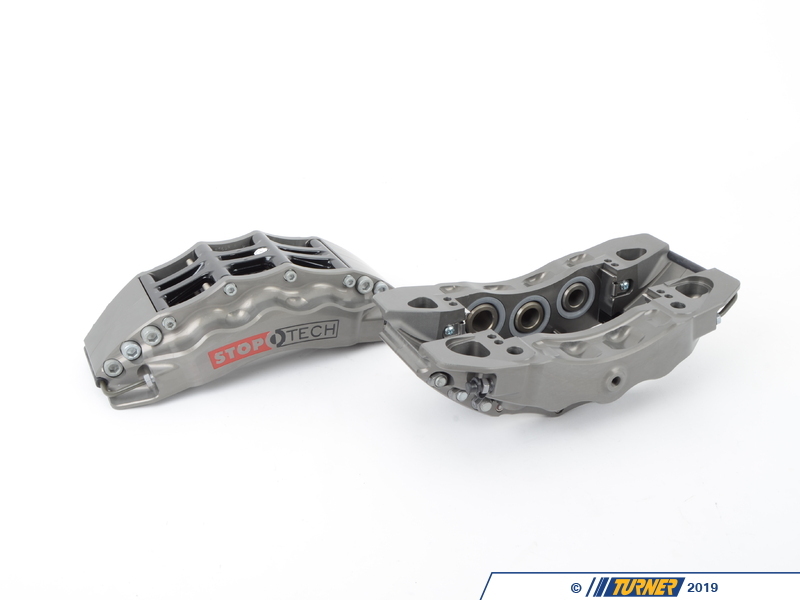 StopTech's Front Big Brake Kit for the 2008+ E9X M3 is engineered to work with the stock brake hydraulics and ABS/DSC system. 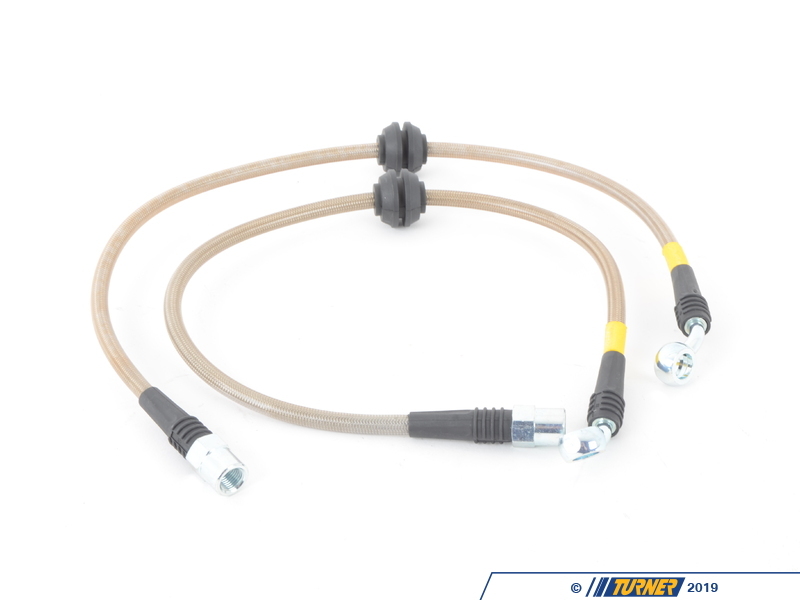 StopTech builds each kit around the specific vehicle, engineering the system to achieve the correct brake balance. This brake upgrade gives better stopping performance in everyday driving, aggressive street driving, or all-out track days. 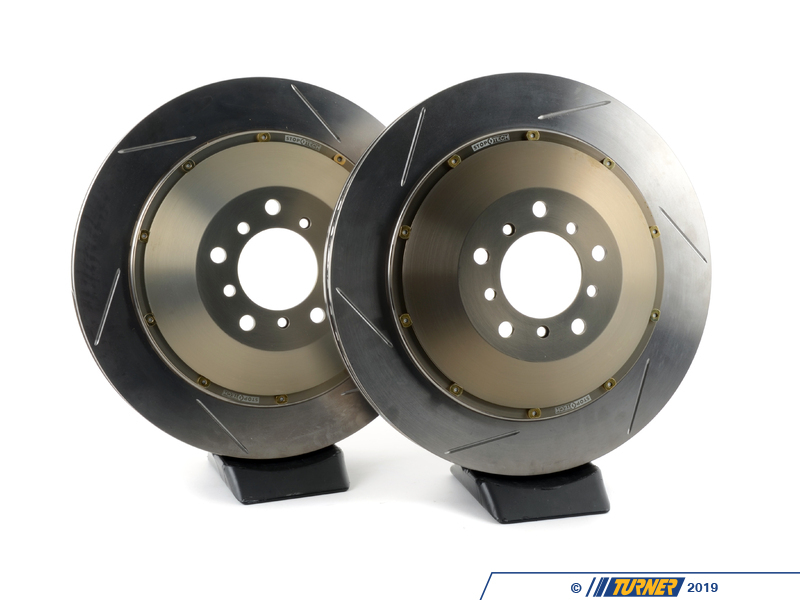 By increasing the rotor size, using a larger pad, and a fixed forged aluminum caliper, you can improve your braking performance substantially for any condition! 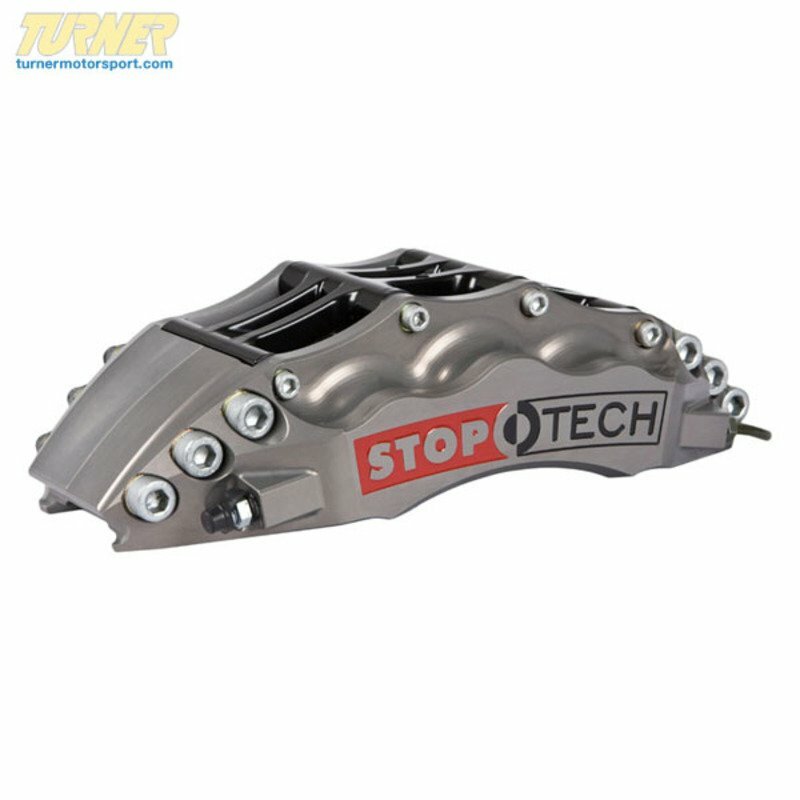 StopTech Brakes have been used on Turner Motorsport racecars since 2003, winning 5 sports car championships and recording numerous race wins since. 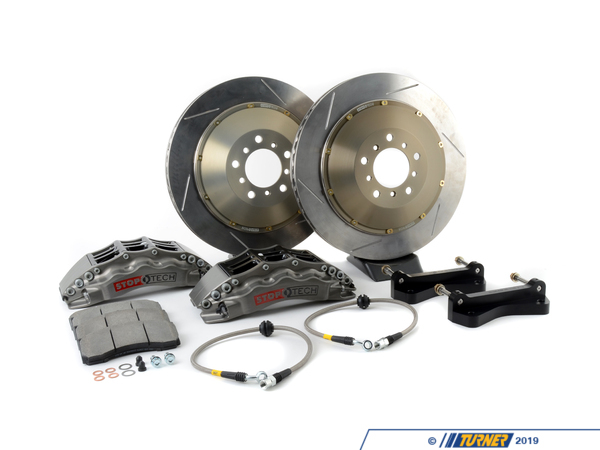 Ultimate street performance is obtained with a StopTech� Trophy Sport Big Brake Kit. 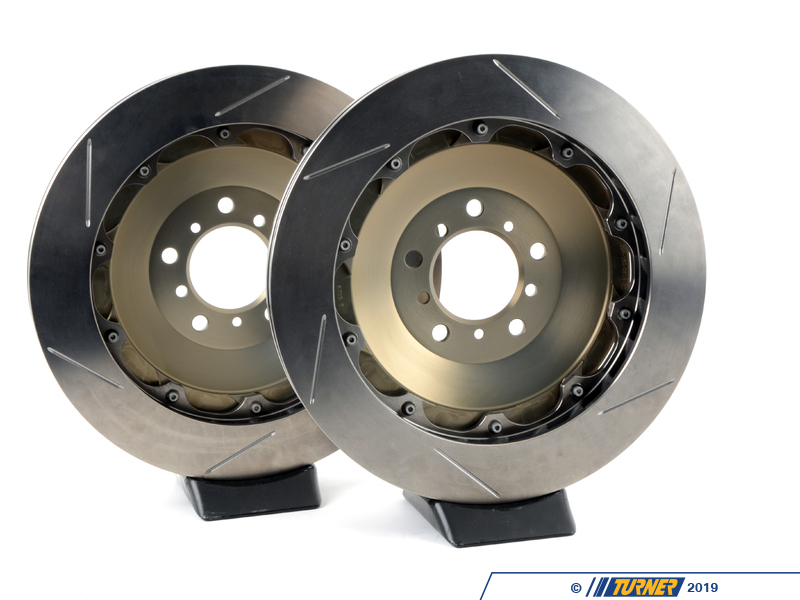 The Trophy Sport Big Brake Kits with naturally anodized lightweight components designed to survive the rigors of racing. 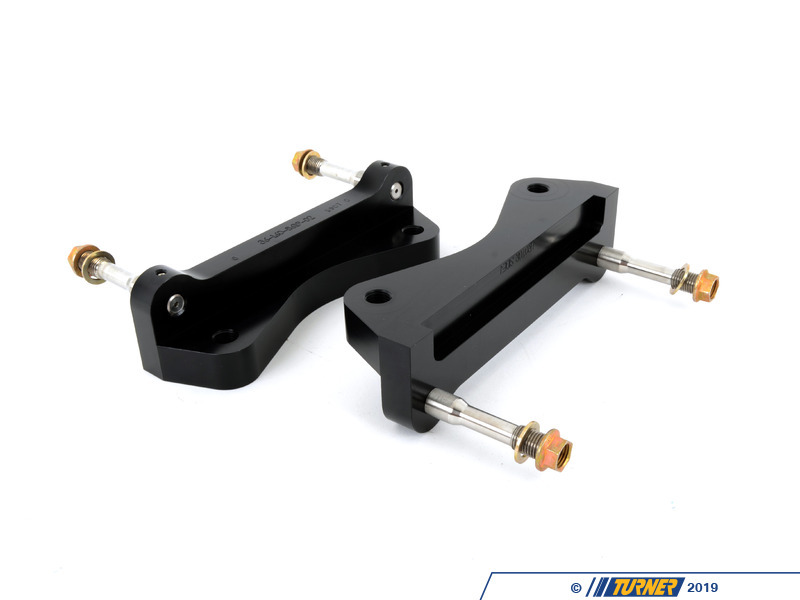 Trophy Kits feature fully forged, lightweight STR calipers, 2-piece AeroRotors�, braided stainless steel brake lines, mounting brackets and hardware. 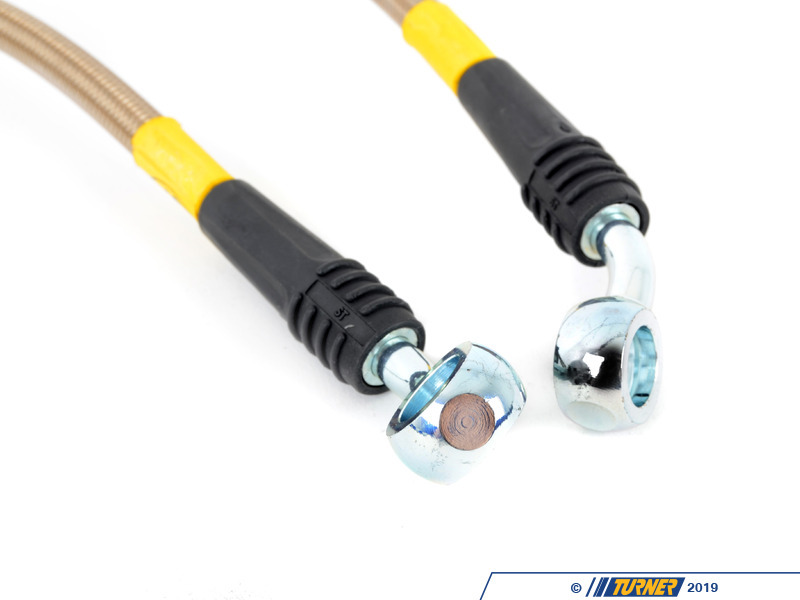 The MAX Float hardware allows for the greatest amount of float between the hat and rotor. 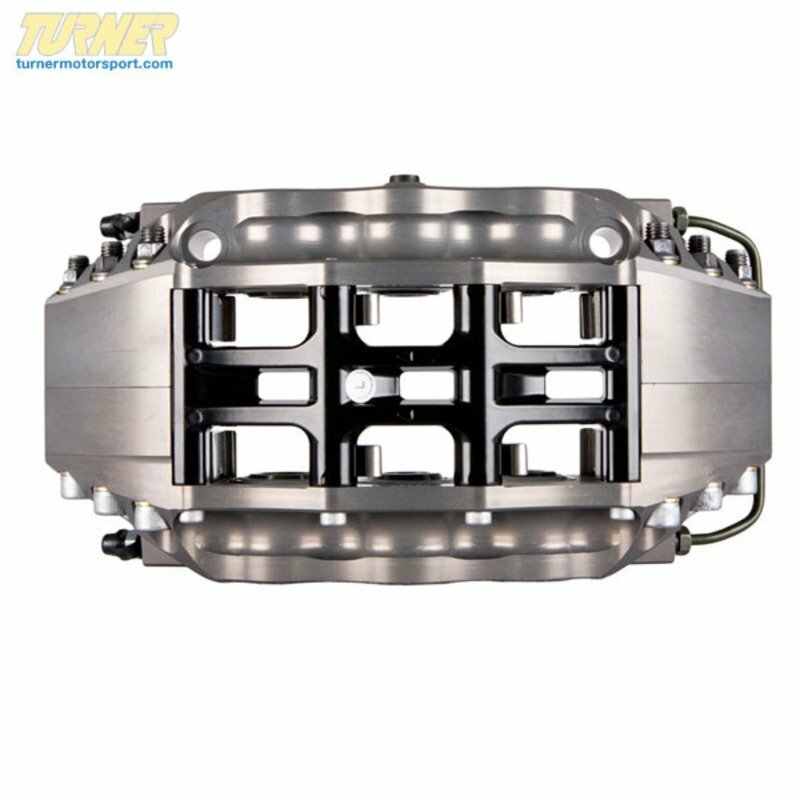 The Turner Motorosport Championship winning Grand-Am E92 M3 uses these same calipers. 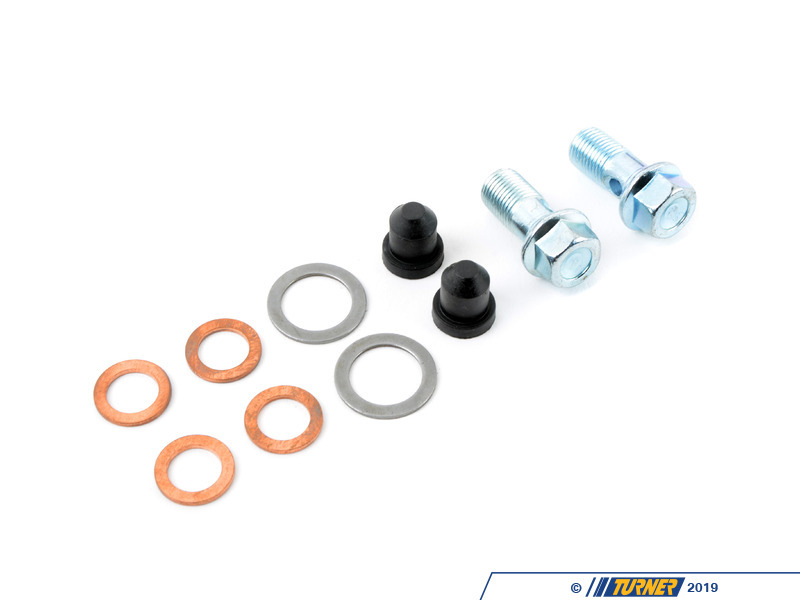 The Trophy Street kits are designed for street driven production vehicles and use the same STR calipers, AeroRotors� and AeroHats� as the Trophy Race Big Brake Kits, but add silicone dust boots to extend service intervals and anti-rattle rotor mounting hardware for quieter street operation. 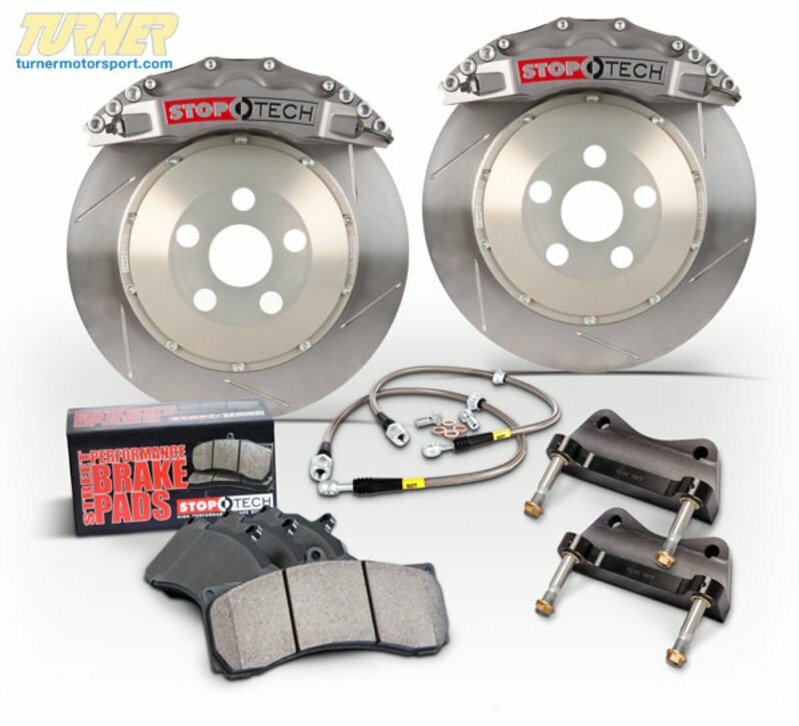 Trophy Sport Kits also include StopTech� Street Performance brake pads for high performance street and occasional track use. 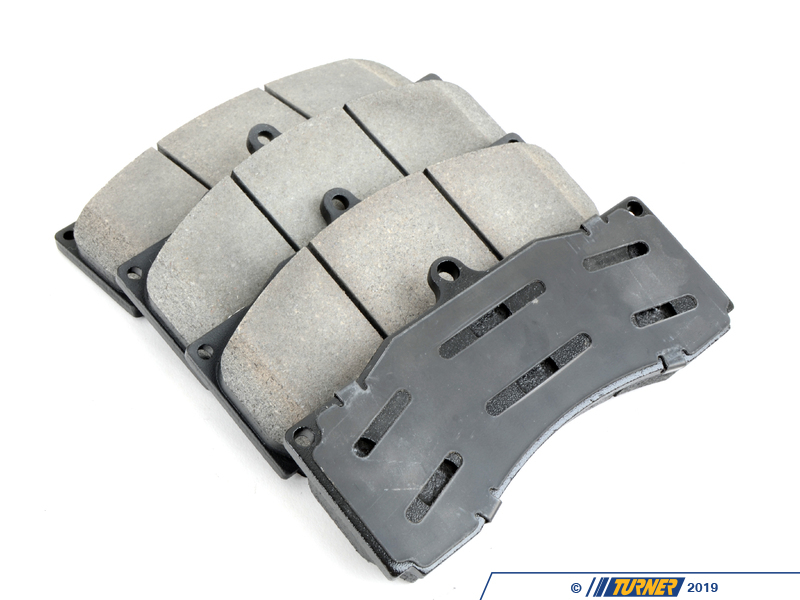 They are the ultimate street braking system. 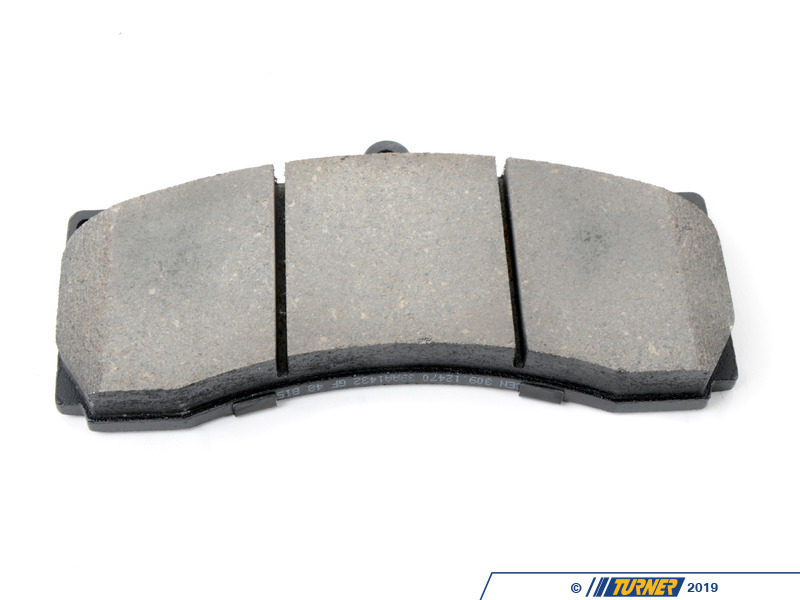 Big brake kits have larger components than the factory brakes. 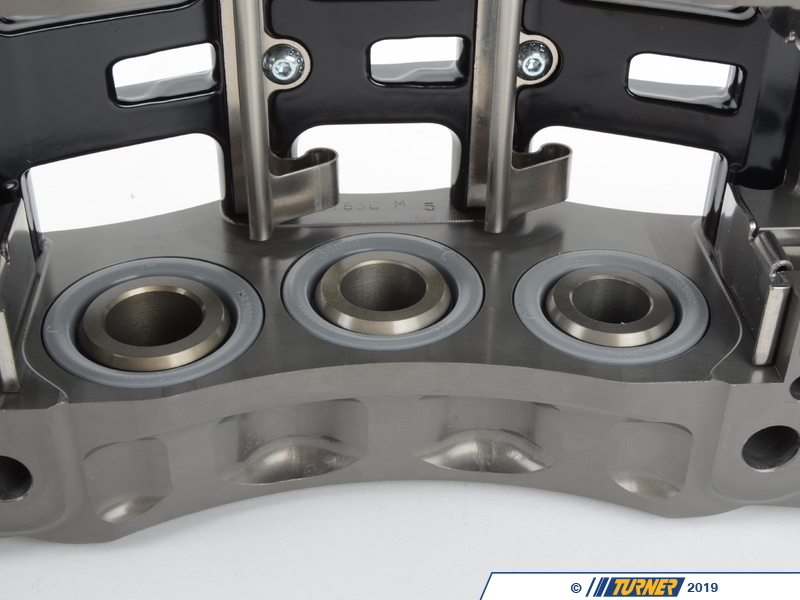 Some wheel designs and sizes may not clear without wheel spacers. 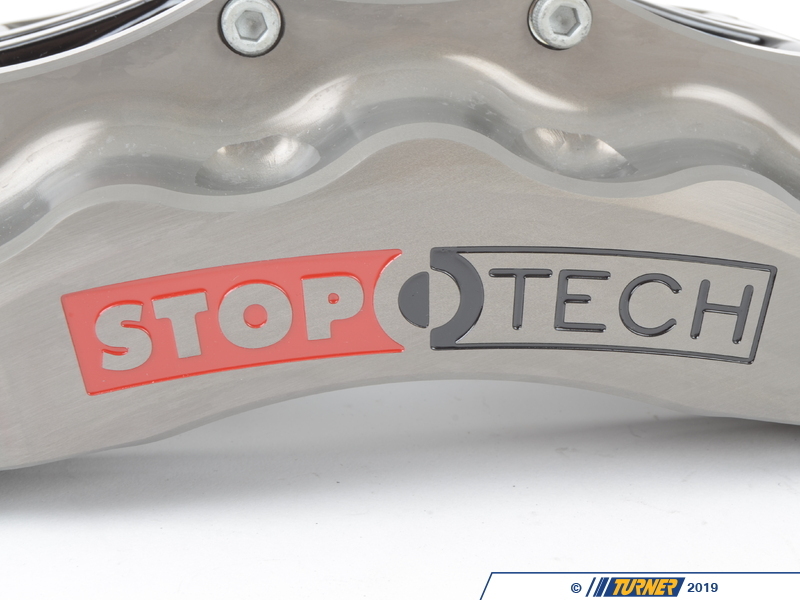 StopTech has produced a template that has all of the critical dimensions of this brake kit. You can download and print it here and then check the clearance on your wheels. 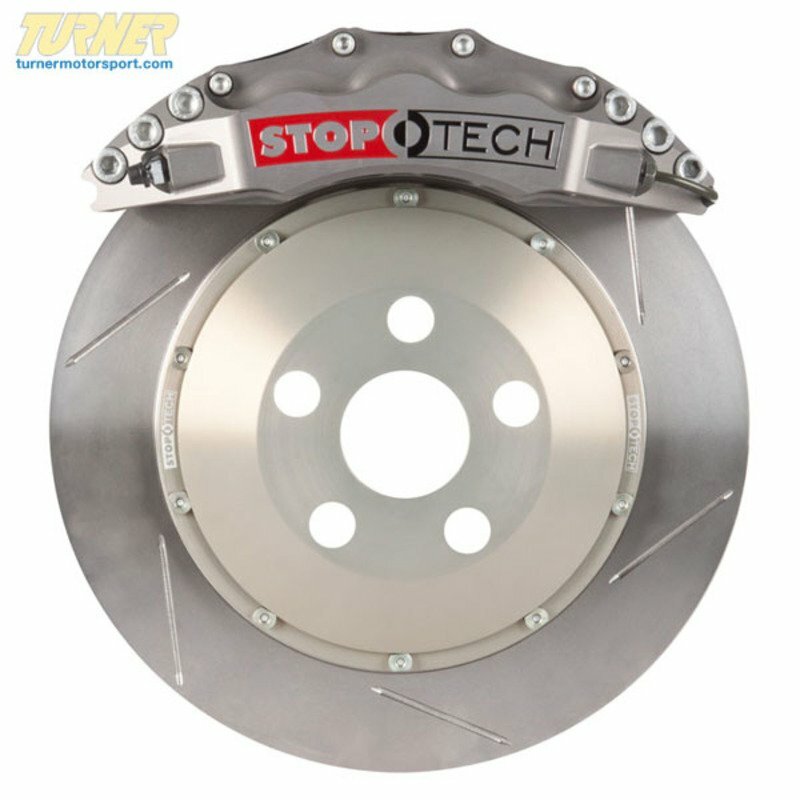 We will meet or beat any advertised price for StopTech Big Brake Kits! Call or e-mail us with the published pricing that you found and we will do our best to not only match that price but actually beat it! 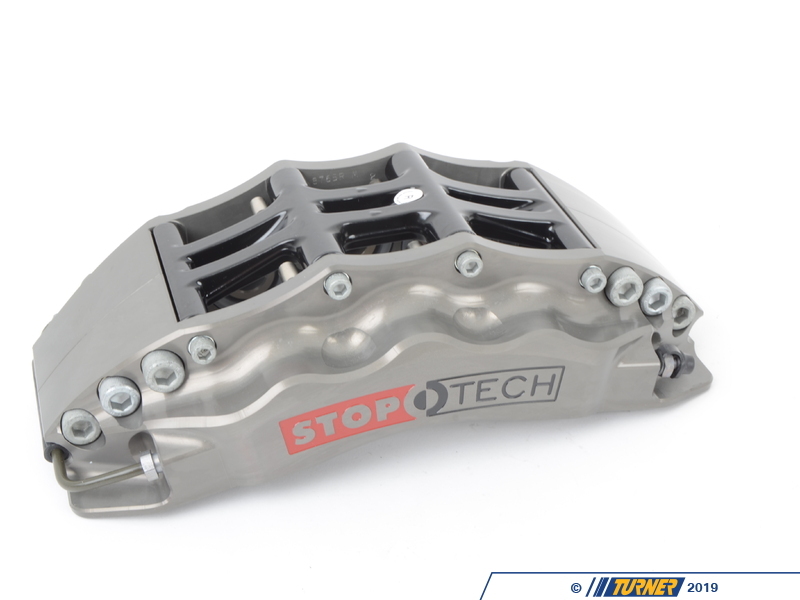 Ultimate street performance is obtained with a StopTech® Trophy Sport Big Brake Kit. 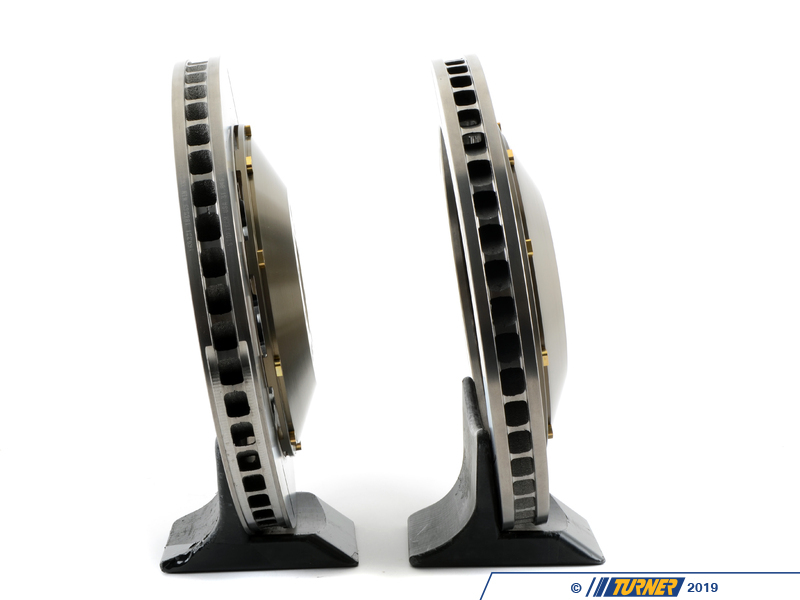 The Trophy Sport Big Brake Kits with naturally anodized lightweight components designed to survive the rigors of racing. 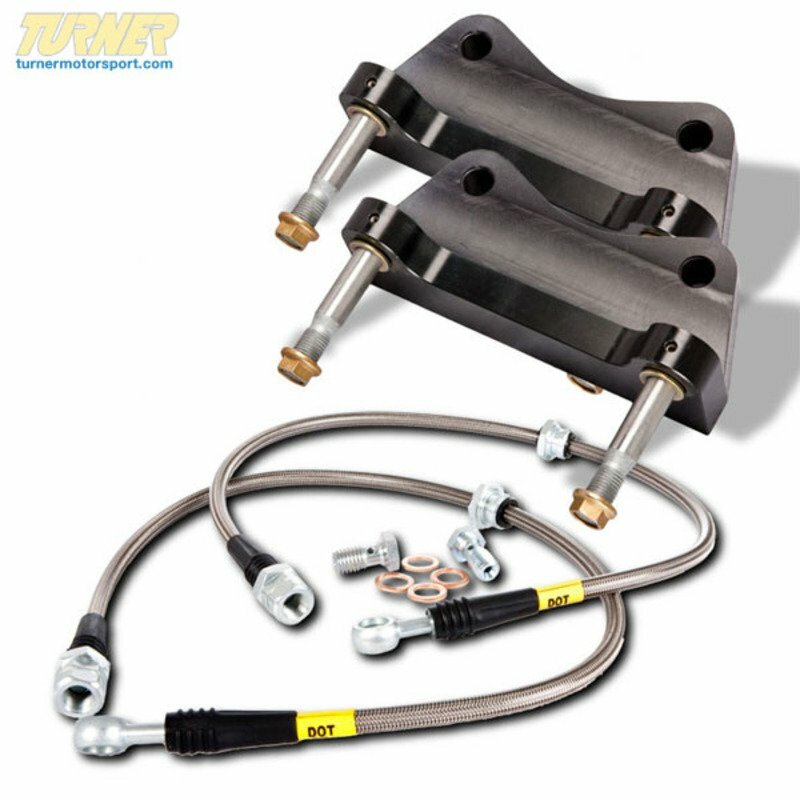 Trophy Kits feature fully forged, lightweight STR calipers, 2-piece AeroRotors®, braided stainless steel brake lines, mounting brackets and hardware. The MAX Float hardware allows for the greatest amount of float between the hat and rotor. 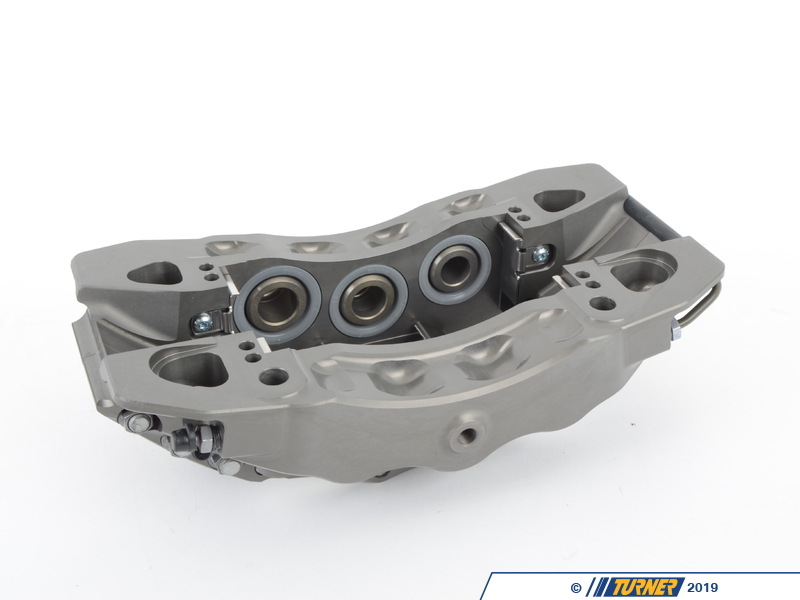 The Turner Motorosport Championship winning Grand-Am E92 M3 uses these same calipers. 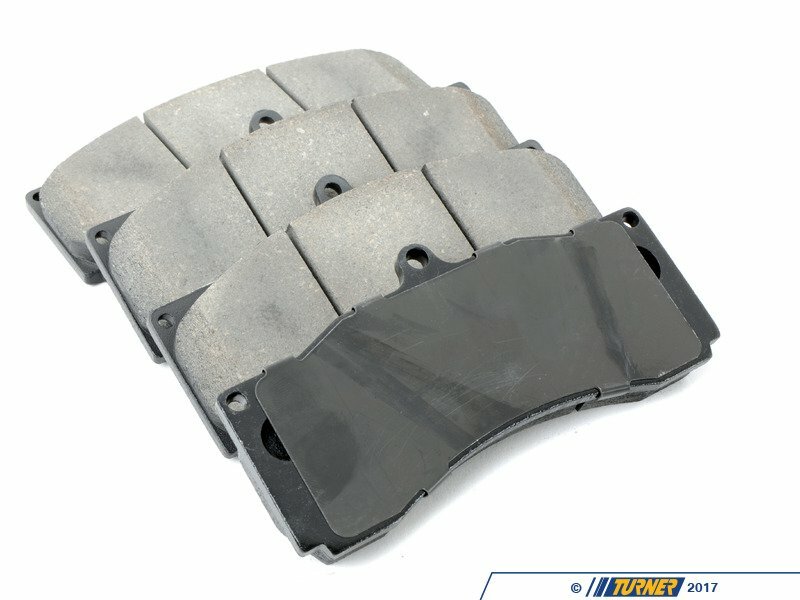 The Trophy Street kits are designed for street driven production vehicles and use the same STR calipers, AeroRotors® and AeroHats® as the Trophy Race Big Brake Kits, but add silicone dust boots to extend service intervals and anti-rattle rotor mounting hardware for quieter street operation. 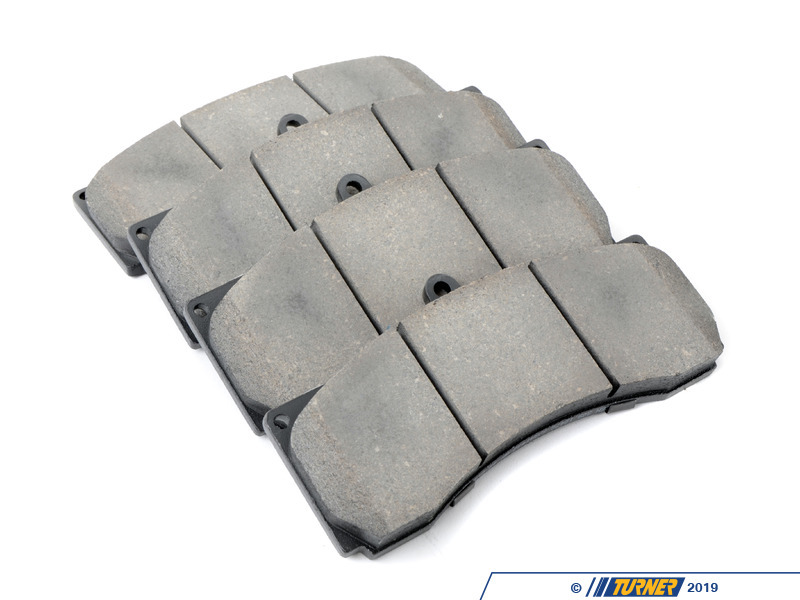 Trophy Sport Kits also include StopTech® Street Performance brake pads for high performance street and occasional track use. 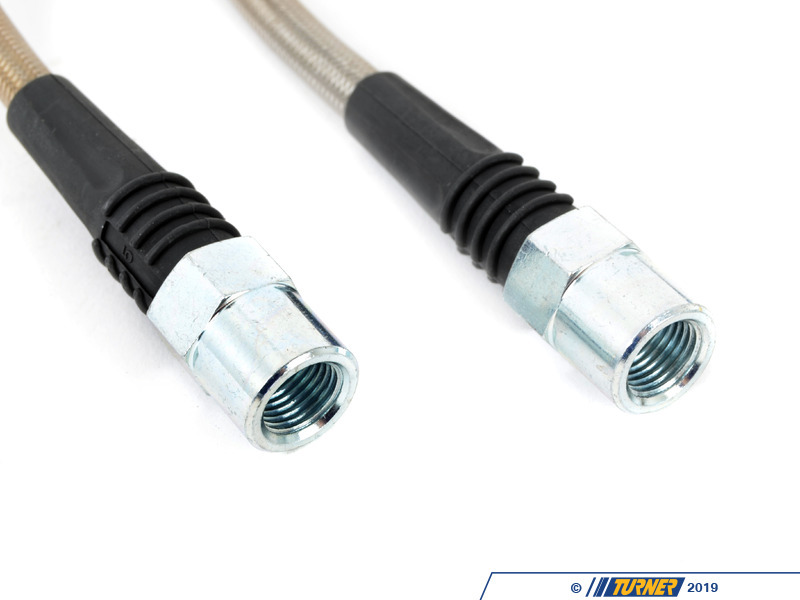 They are the ultimate street braking system.